HTML can be a very scary thing, especially for a new blogger. And while it’s not imperative that you learn HTML since Blogger, WordPress and other blogging software have WYSIWYG blog post editors, I still think that every blogger should at least know the basics, like how to add a link to text or an image using HTML. For example, what if you want to add a linked image on your sidebar? In both Blogger and WordPress, there are simple widgets that will allow you to do that with no HTML knowledge, but those widgets limit how you can arrange the photos since each photo is its own widget, and individual widgets are generally stacked on top of each other. So we’ll start with links today. I’ll start with a basic link, and then add in some more advanced options. Have you seen my tiny condo kitchen makeover? It took me two years, but I finally got it finished! That doesn’t look too scary, does it? Now I’ll show you in a different way. This is the basic structure for every single text link..
immediately after the text or image that you want linked, you must place the </a> code to indicate that the link ends. the “a” in the <a code stands for “anchor”. the “href” stands for “hypertext reference”. immediately after “href” you must use the equals sign, and then place the url to the page to which you’re linking inside quotation marks. I’ll give you one more example of a sentence with three links. Last fall, I made a wreath out of cardstock paper, a decoupaged candle holder, and some miniature pumpkin vases. Last fall, I made a <a href=”https://www.addicted2decorating.com/my-10-diy-fall-wreath-and-an-x-acto-knife-giveaway.html”>wreath out of cardstock paper</a>, a <a href=”https://www.addicted2decorating.com/cheap-easy-fall-decor-decoupaged-vasecandle-holder.html”>decoupaged candle holder</a>, and some <a href=”https://www.addicted2decorating.com/mini-pumpkin-vases%e2%80%94one-idea-five-ways.html”>miniature pumpkin vases</a>. The HTML for a linked image is almost the same as the HTML for linked text. The only difference is that instead of text, you have to include the URL for the image that you want linked. 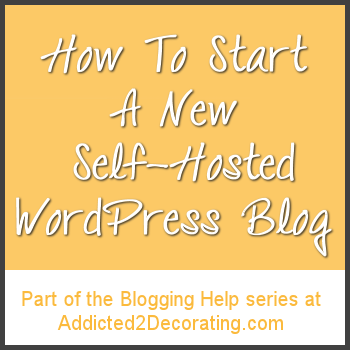 Before you can add a linked image to your blog (e.g., on your sidebar), you first have to upload that picture to an online host. If you blog on WordPress, simply upload the picture to your Media Library. After uploading the image, you’ll need the URL for that image. The URL for an image should end in .jpg, .png, .gif, or any other photo file format. A picture file won’t ever have a .html ending. On WordPress, you can get this info from the field called File URL after you upload the picture. As you can see, there is a code there for a photo file instead of text. 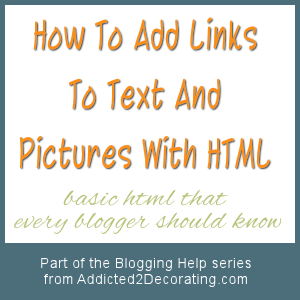 Much like the HTML needed to create the link, the HTML needed to make the photo appear must be enclosed in the < > brackets. The code starts with img src, which means image source, and then the actual URL for the image follows, enclosed in quotation marks. That is the very basic HTML to create a linked image. That’s not difficult at all, right? If you’re linking to another website or blog, it’s a good practice to make those links open up in a new tab in the browser. That way, you can link to helpful information on other sites, while also keeping your visitors on your site even when they click the link. In other words, you never want to intentionally send visitors away from your site to another site. 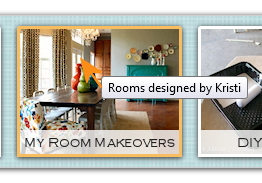 See the little tag that says “Rooms designed by Kristi”? That pops up when you hover your mouse over the “My Room Makeovers” picture at the top of my blog. That’s called a title attribute, and it’s a great way to add additional information for your readers. Of course, you can write anything you want in the title attribute. Just include any information you think would be helpful for your readers to see when they hover their mouse pointer over the link. Since this isn’t a lesson on search engine optimization, I won’t go into detail on how links affect your website. Suffice it to say that the way in which you link to other sites is very important in the eyes of Google. You can read more about linking on Google webmaster tools. Once it’s all broken down into sections, it doesn’t looks quite as scary, right? And of course, the key to understanding it is to practice! Previous Post A Shameless Plug...Because I Want A House! Okay, I’ll admit HTML scares me. But you had me at “complete control” LOL. I might talk myself into using more of it rather than letting other programs do the work. Thanks for the helpful post. As usual, you are the html guru! 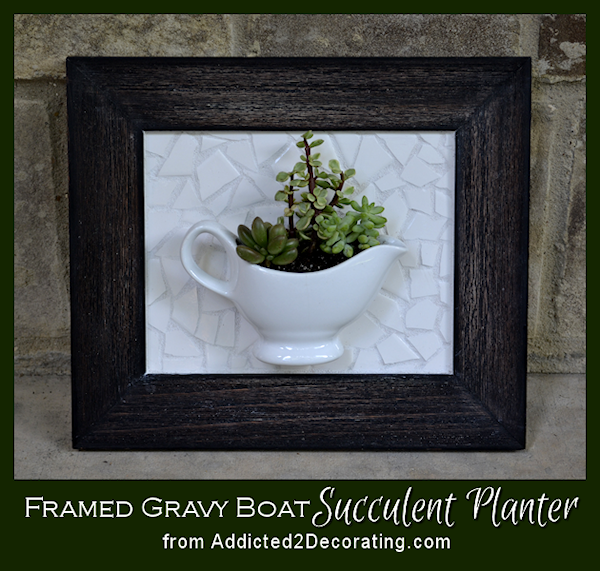 And your succulent planter rocks too! Excellent tips! Good to know for those times when I can’t do it in the visual view. You are the coding/HTML queen! 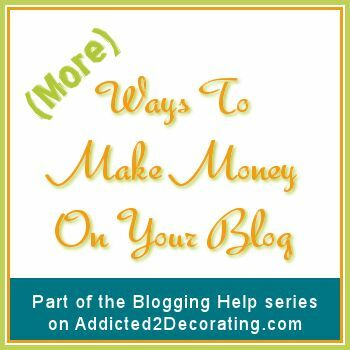 Thank you Kristi for all these wonderful tips!! I’m saving this to read again tomorrow when it’s not so late and my eyes aren’t blurry and tired! LOL! I can’t believe you compose in html. I understand why, but still, I think I’m too visual for all that code not to scramble my brain when I’m writing. Thanks for all this explanation. You are helping us all! I love the info. Can you add html to already existing html and if so where can you add it? 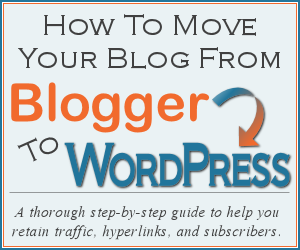 Basic Blogger HTML | So You Wanna Be a Blogger? Kristi – this is such an awesome, easy-to-follow tutorial! Coding HTML is not my strong point. However, following your instructions I think that I will be able to make some change that I wanted to do but I didn’t know how! Hi, I have just started blogging and am still trying to set up my blog. I have downloaded some images for my links to facebook, pinterest etc but cant seem to get the image links I need to do this. I have tried photobucket but my images come up with “sorry person has moved or deleted image. What could I be doing wrong and where else can I get the url links I need. Following this article I was able to create a link. Kristi, I can’t tell you how helpful a post this was. Thank you so much for taking the time to spell it out for us step by step. I’m attempting to use affiliate links as of late and am having the hardest time. The text links I’m using leave me with huge spaces between the link and either the image or the text after it). Any advice? Hello I am working on blogger and would like to hyperlink an image that I am taking from my website. So a different source to blogger. Any advice on how I can do this?